Power away stains and deodorize your home, naturally. 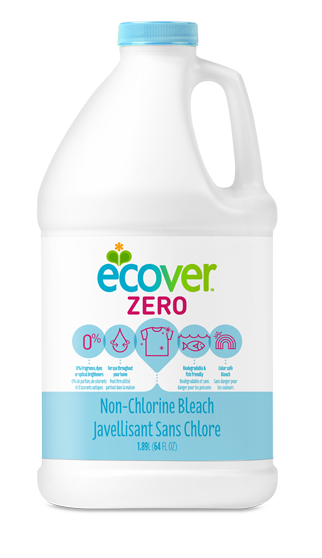 Free of fragrance, dyes or optical brighteners, our biodegradable non-chlorine bleach removes stubborn stains without washing out your colors. It’s also safe for sinks, tiles, toilets, showers, tubs—and the planet. Now that’s a clean solution. Hydrogen peroxide (6.75%) Non-chlorine bleach Made by bubbling air through water with a catalyst Gentle, color-safe bleach that whitens and brightens with a low impact on the environment. what do you think about Zero Non-Chlorine Bleach?